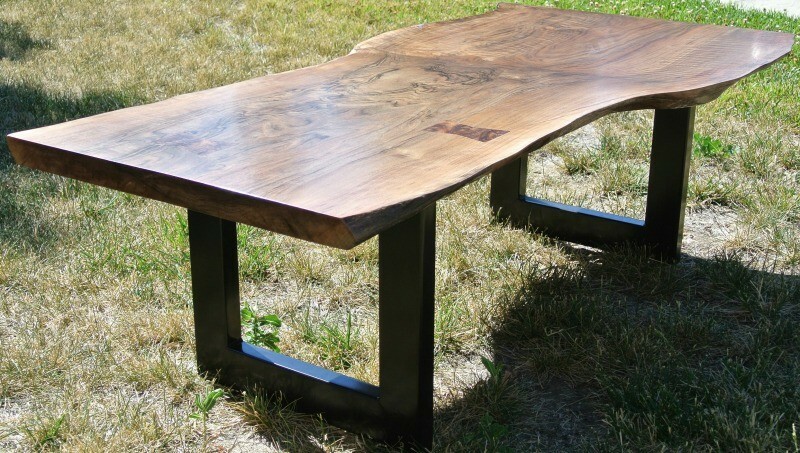 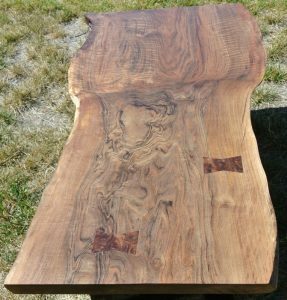 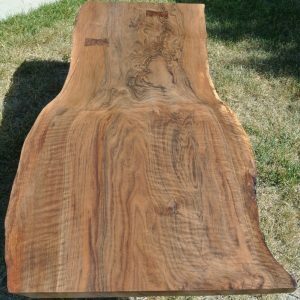 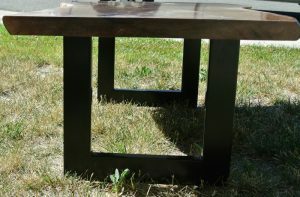 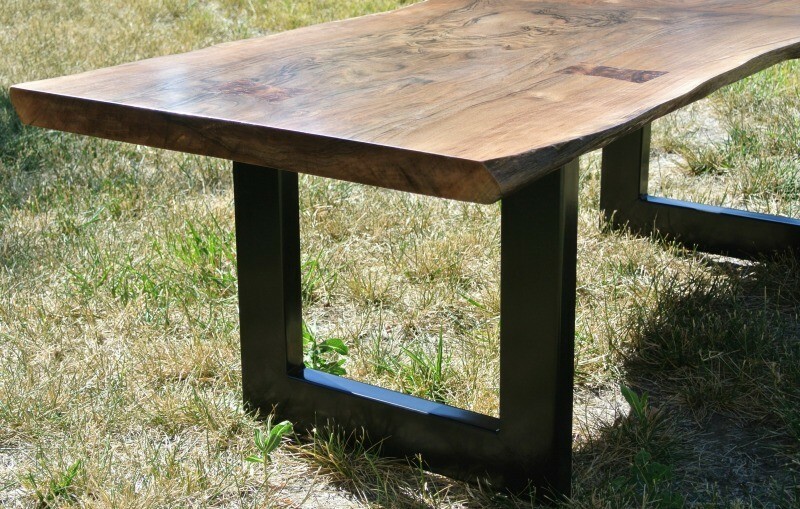 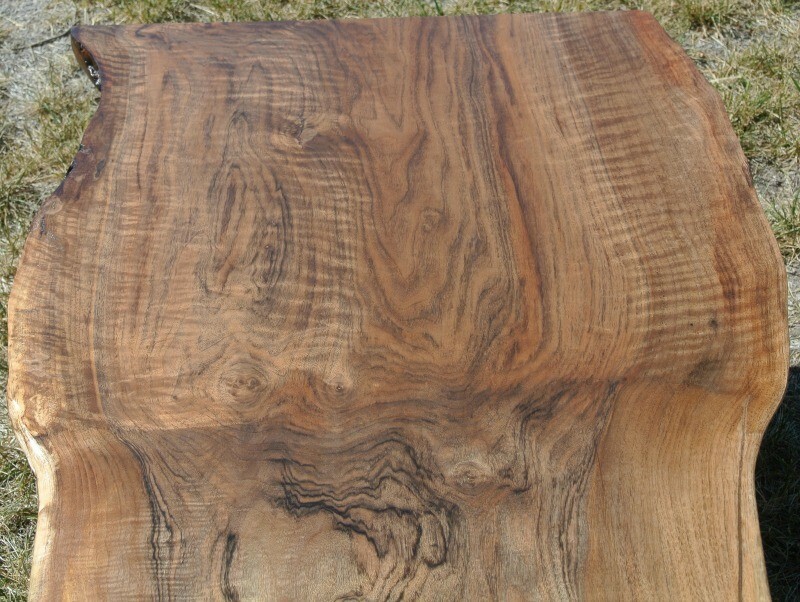 We built this beautiful coffee table from a grafted English/Bastogne Walnut slab that we salvaged in Meridian, Ca. 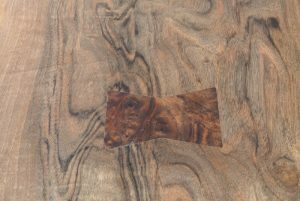 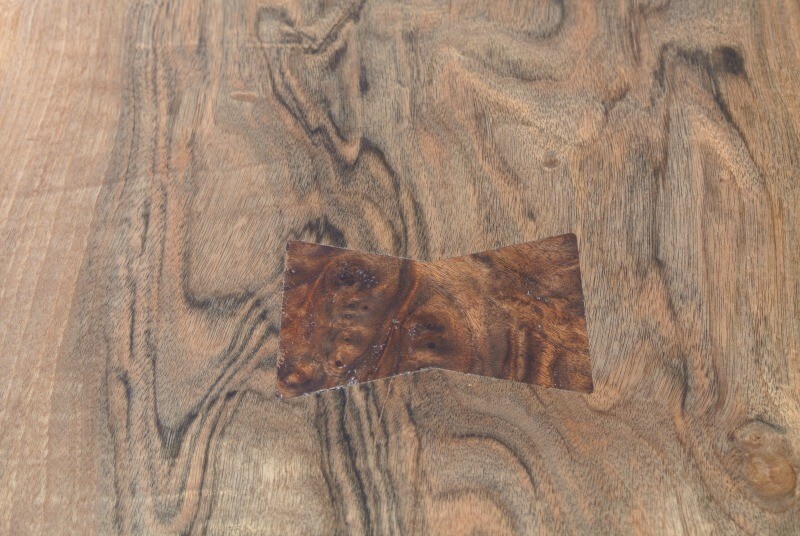 We filled the cracks with epoxy and inserted 2 gorgeous Claro Walnut burl bow ties into the top. 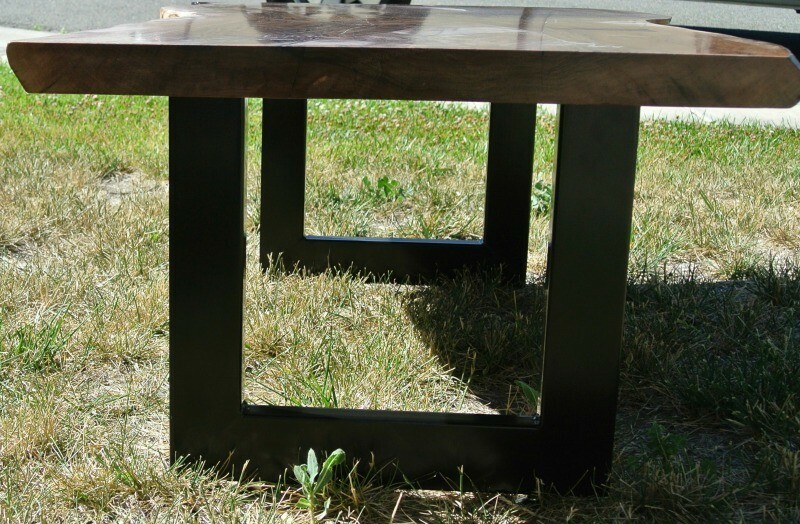 The legs are powder coated black and are made from 1″x3″ tubing that we stood up on the narrow edge, which really gives it a clean look.We finished the slab with a conversion varnish so it is very durable and can stand up to any soda,water, wine spills. 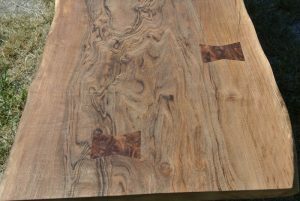 Be sure to contact us with any questions or comments.